BIG is Little and Little is BIG. This means if you want to achieve the big things in life, like amazing relationships, great health, financial independence, and a fulfilling career, then you must focus on doing the little things right day in and day out. And if you do the little things right day in and day out, the big things are practically guaranteed! Here are 10 little habits you can add to your life that successful people practice to achieve big results. Jump-Start Your Day. Highly successful people don’t hit the snooze bar several times before finally dragging themselves out of bed. They get up early and enthusiastically embrace the day. Read and Reflect. Embracing the day doesn’t mean you hit the ground running so fast that life instantly becomes a whirlwind of chaos and confusion. Instead, highly successful people spend the first 30-60 minutes of their day leading their life from quiet. Fuel up. Successful people eat food that taste great and is nutritious. Since they have a lot on their “plate,” they make sure the food they eat fuels their body. Work hard. Highly successful people work harder than others for two reasons: (1) They usually enjoy their work, so work feels more like play than work. (2) They know hard work beats talent every time talent doesn’t work hard. Work smart. Successful people also work smart. They set goals. They prioritize those goals. Then they take steps each day to accomplish those goals. Focused work is one of the most important habits of successful people. Don’t Complain. Successful people are not immune to bad things; bad things happen to all of us. What makes highly successful people so successful is they live an E+R=O life. They don’t focus on the event, but instead on how to best respond to the event. 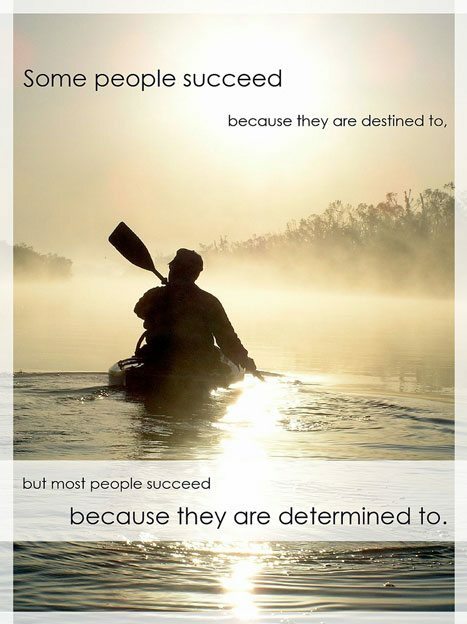 This is why their outcomes are often successful even when the circumstances they face are challenging. Serve. Contrary to popular opinion, highly successful people do not focus primarily on money. They focus on serving and giving because serving and giving creates value. However, since creating value often leads to financial reward, successful people end up receiving financial reward simply because they continue to grow in their ability to serve and give. The financial reward is like icing on the cake to their focus on serving. Run at problems and decisions. Average people run away from problems and decisions. Successful people do the opposite. They run at them. Invest in Yourself. Did you notice everything listed above is about investing in yourself? Yet highly successful people go even further to invest in themselves. When they really want to learn something, they look for ways to supercharge their learning. They attended conferences, take online courses, hire coaches, and even join mastermind groups. Of all the habits of highly successful people, this might be the most powerful because of the principle of The Slight Edge. Questions: Which one of the habits of highly successful people is most important to you and why? What habits would you add to the list?